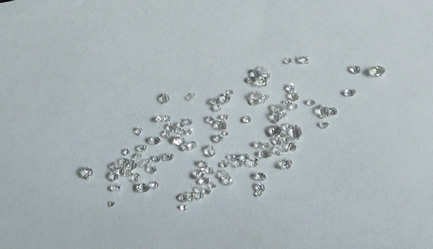 Weight: 1 g / 5 ct.
ATTN micro crystal collectors ! We consider any Herkimer crystal less than 4 mm a micro specimen. 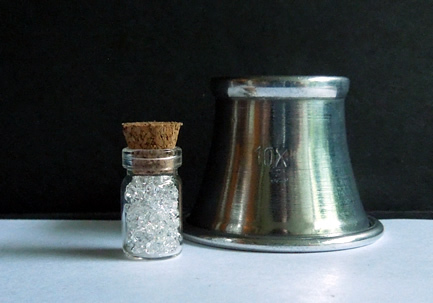 These teeny double terminated Herkimer Diamonds are held securely in a cork topped glass vial. The group of 100 includes clusters as well as singles and a loupe to fully appreciate them. 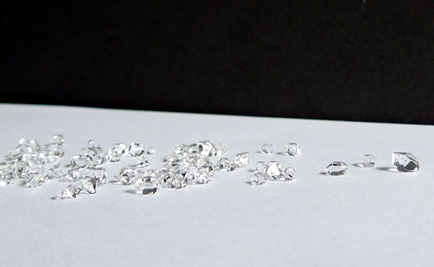 These double terminated micro Herkimer Diamond crystals would be a fun and unusual addition to any crystal collection. of these double terminated micro crystals.